Lemax Victorian Mailboxes Set of 2 miniature village accessory depicts two traditional self standing red post boxes on individual street bases whilst cat awaits arrival of the postman! Suitable for placement in and amongst a miniature town scene set in a Victorian era. A Lemax Victorian Classic Village miniature accessory which has been part of the Lemax miniatures collection since 2011. 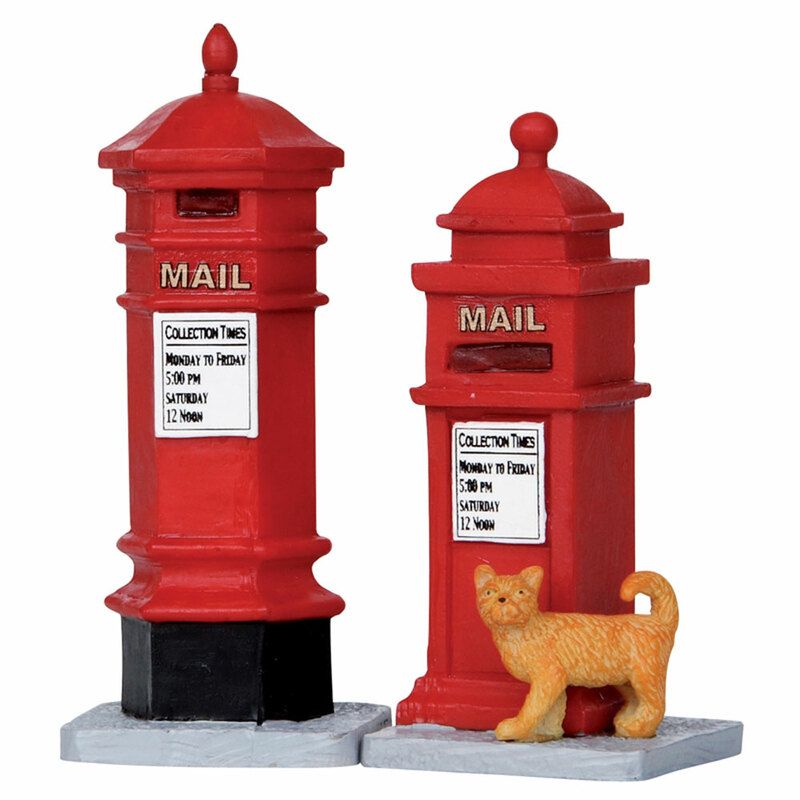 Victorian Mailboxes are two individual hand painted pieces mounted on paved bases to compliment your seasonal Lemax Village display.